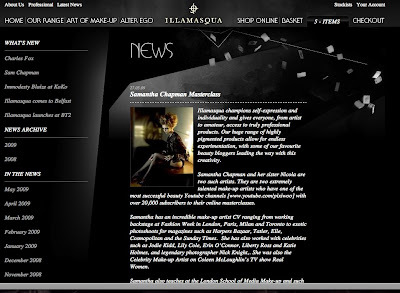 I am really pleased and excited to be featured on the Illamasqua website in the news section. Also look out for Woman's Own magazine on the 8th June for a little story about Nic and I.
you said that we should avoid stuff like mac msf because they don't photograph very well. then how come we see pictures of celebrities that have a beautiful glow to their skin? I can think of jessica alba, her skin looks gorgeous every time! what product might she use for that? The best way for me to answer this is with these pictures. The usually flawless Catherine Zeta Jones has an iridescent bronzer all over her face. You can see the results are less than flattering. Likewise, Eva Longoria is not at her best. She has a light reflective concealer underneath her eyes making her undereye area appear much lighter than the rest of her face. Kim Kardashian's friends could have used a different concealer too. This is a Bobbi Brown bridal look and the first in our series of bridal looks. 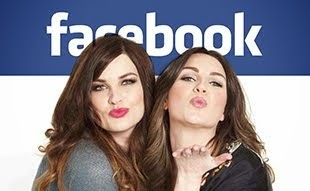 Nic will be doing MAC and Estee Lauder looks and I will do Laura Mercier and Jemma Kidd. For all those who are looking for a counter makeover on your big day perhaps this will help you decide which brand is the best for you. We have managed to find a week that both Nic and I are free. The dates are 20th - 24th July. Anyone who is interested in the 5 day course please email me asap. The course will be taking place in Norwich in a great location. A few shots from the current issue of Loaded. 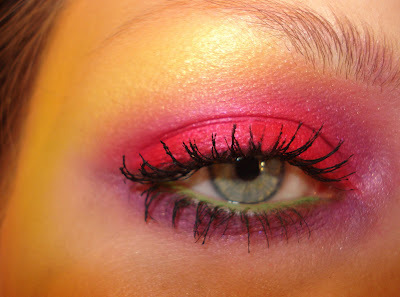 I used ILLAMASQUA base and the Storm eyeshadow palette from Sleek. (£4.49 Superdrug).